In my discussion with T.J. Jourian, he tells us about his current work researching campus climate by creating heat maps. This scholarship offers an opportunity to check the pulse of campus regarding college and university micro-climates. He then describes how he connects scholarship with policy and practice. T.J. shares the context shaping his philosophy for higher education activism today. He shares three points of guidance he has learned throughout his career and a phenomenal array of books and podcasts that inform his work. He concludes by sharing vulnerable insights about his identities as an immigrant and person of transgender experience. 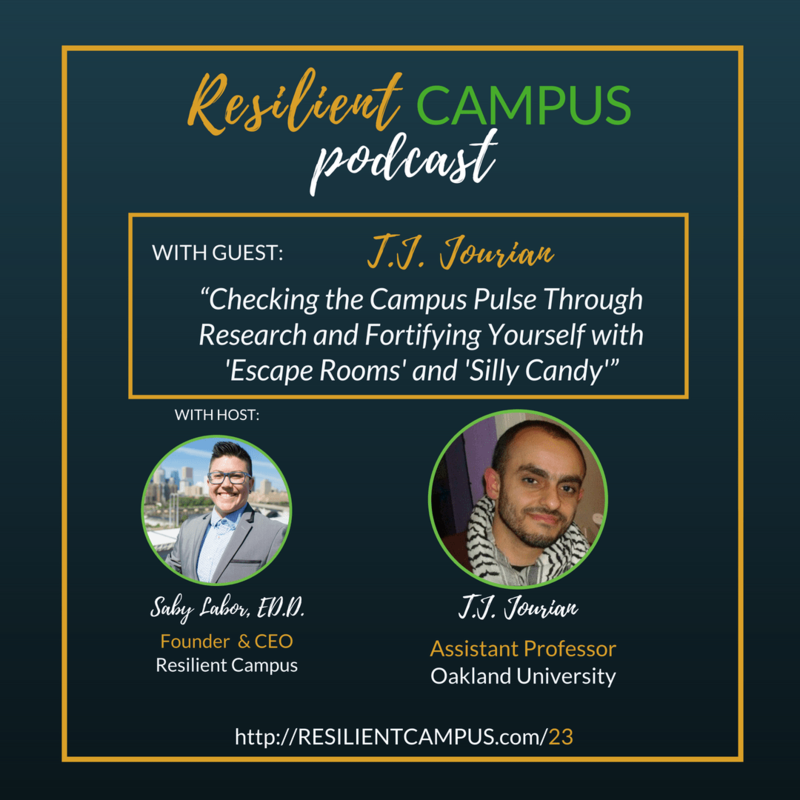 T.J. Jourian is a social justice educator, learner, activist, and speaker, having worked with hundreds of college campuses, conferences, and community-based organizations across Turtle Island. In 2005, T.J. was featured in the Sundance docu-series TransGeneration, depicting a single academic year in the lives of four trans college students at four different institutions, and giving him a platform from which to amplify justice work. Motivated by intersectional and liberatory movements and lenses, he brings his personal, communal, and professional perspectives into all kinds of classrooms, and his empowering and dynamic presentations speak to a variety of audiences – from staff members and students, to faculty and broader community members. T.J.’s professional experiences span LGBTQ life, residential life, women’s center work, multicultural affairs, orientation, and leadership. Currently, his research and advocacy center queer and trans people of color in achieving the democratic and liberatory potentials of higher education. T.J. co-founded T*Circle, the only collective by and for trans educators in higher education and student affairs, and co-founded the interdisciplinary and open access Journal of Critical Scholarship on Higher Education and Student Affairs. “One of the ways is to take stock of which one of your muscles you’re regularly exercising. For me, because I was exercising my brain muscles the most, my head, I needed to refocus to my soul and my body to balance that out. I think of work life balance, not in that sense, of how much I work and how much I do leisurely things, but rather about how do I balance out different parts of my body and my mind and my soul and my different muscles, so that they’re sustaining each other and they’re growing at similar rates, instead of competing with each other for space.